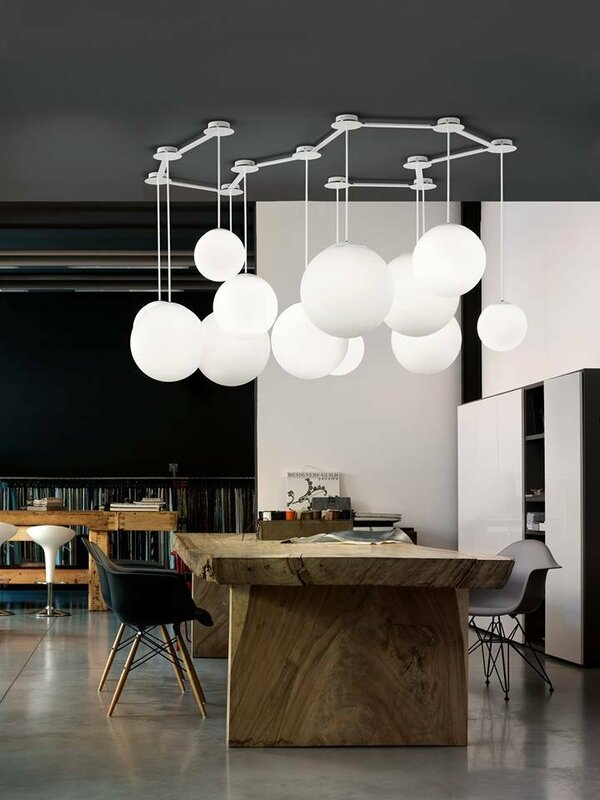 The Multiball has been designed by Roberto Paoli for manufacturer Modo Luce. 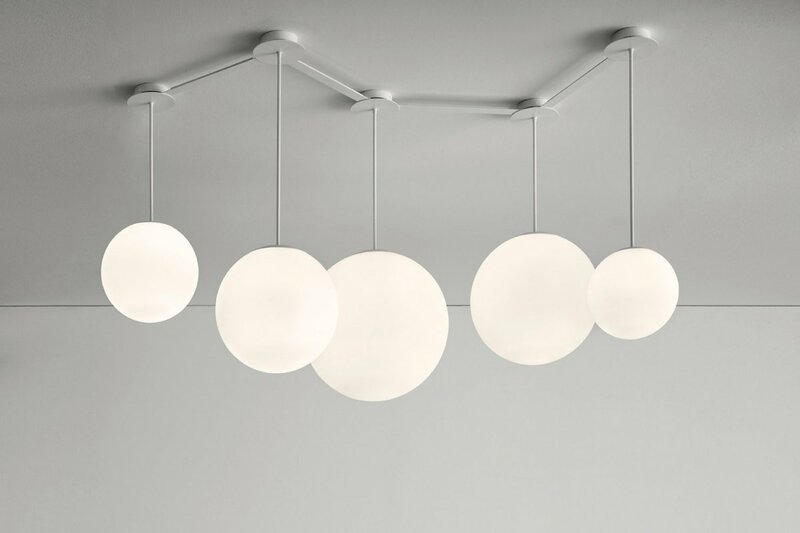 This fascinating collection of suspended light globes with varying diameters is available in five or twelve ball versions. The rigid rods between each light can be positioned to make different shapes, this combined with a choice of globe size and hanging heights allows for a truly unique lighting arrangement. “Multiball is a scenic lamp that seems to float in space. Roberto Paoli, with great insight and creativity, enhances the market with a product with a taste of the poetic. 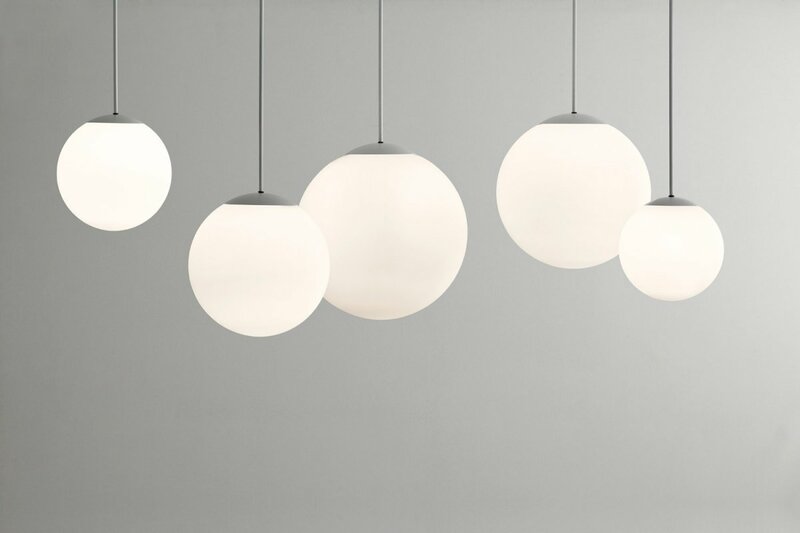 The hanging cloud is broken down into spheres of different sizes at different heights. The traditional lamp ball is revisited in modern composition cloud. An unstructured cloud of white light and soft material. 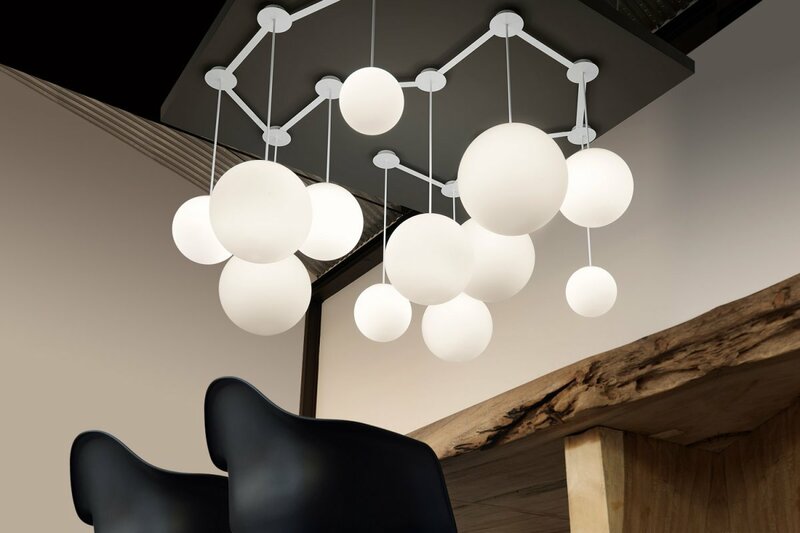 The originality of Multiball is that of providing the user with a highly customizable product: the luminous spheres are connected to each other by an ingenious system from the ceiling that connects the small rosettes with linear steel arms. Thanks to the connecting elements between the rosettes, it is possible to start from a single feed point and develop the lamp in several directions. 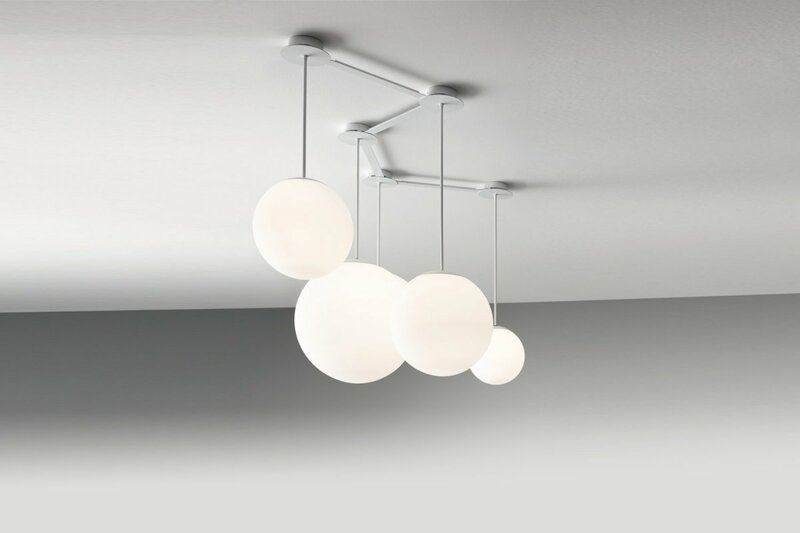 Each ball hanging from a ceiling rose with a tige of variable length permits the creation of compositions at staggered heights giving dynamism to the final product. The balls are made ​​of white embossed plastic able to confer homogeneous light to the environment without glare points. The steel frame is painted white to create visual consistency to the product.